Can I park near the house? Casa Galilei: The Rocca is a car-free area. The best place to leave your vehicle is the new car park, a couple of hundred metres away in Piazza Paraterra below Via Silla, shown on the left edge of the street map on the Maps page. It’s safe, and floodlit at night. Despite the '1 hour' signs, you can leave your car indefinitely as the rule has not been enforced. Casa Marconi: The house is on a narrow alleyway with no parking, but the car park in Piazza Paraterra below Via Silla is only a couple of minutes away. What about parking in general? The vigili urbani (traffic wardens) are quite strict. Make sure you park in a marked box and watch out for the '1 hour' rule - though this is not enforced in Piazza Paraterra below Via Silla despite the signs. The car park in Via Mattatoio below the market also has no time restrictions. As a general rule, it is best to park your car in one of the designated spots and walk, because everything in the village can be reached easily on foot. Does the house have a swimming pool? No, neither of Casa Capena’s properties have a garden or a pool. There are two excellent swimming pools 10 and 15 minutes away from Capena by car and directions to these are included in your information pack. The best – Selva Grande – is shown in the photo below. 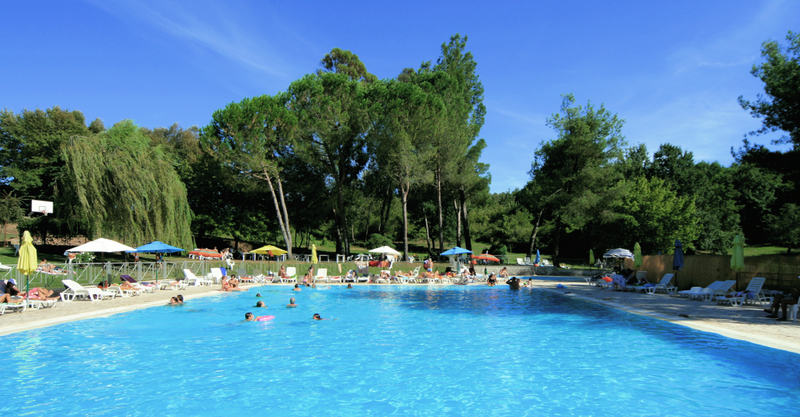 The pools are only open during the Italian school holidays, from mid-June to end of August with the occasional weekend during early June and September. We love Tuscany. Will we love the area around Capena as much? Lazio and the Provincia di Roma are very different from Tuscany. If you dream of lazing round a pool in Chiantishire, Capena is not for you. If instead you wish to enjoy a genuine, unpre­tentious Italian experience as part of a warm and friendly community complete with breath­taking ruins stalked by cats in the best Roman tradition, you will be richly rewarded. Does the house have ADSL/broadband? Yes, both Casa Galilei and Casa Marconi have unlimited high-speed wi-fi. Is the house suitable for disabled people/wheelchair users? Casa Galilei: No, due to the large number of stairs and cobbled pathways. Casa Marconi: The entrance is at ground level, but the bathroom is upstairs. The stairs have a handrail. No. Smoking is not allowed in either of the houses. Also, since 2005, the law has prohibited smoking inside bars and restaurants. In summer, of course, there’s seldom any need to seek shelter.